This morning Revolution Growth announced an investment in the Switzerland-based company Sportradar. If you aren’t familiar with them you should be! Sportradar is the leading global provider of sports data and information globally covering over 325,000 live events across 48 sports. This means they are behind the scenes providing data and products to technology companies, media organizations, fantasy sports and online gaming channels. After launching in the United States in 2013 Sportradar quickly became the fastest growing provider of sports data in North America. Even more impressive, within the last nine months they have secured exclusive partnerships with the NFL, NASCAR and the NHL. If you’re in a fantasy football league, it’s quite possible that they’re behind the stats you’re constantly refreshing as you obsessively check your game score on Sundays. I am joining the newly formed U.S. Advisory Board with fellow Revolution Growth partner Evan Morgan, Dallas Mavericks (NBA) owner and investor Mark Cuban, and Charlotte Hornets (NBA) owner and businessman Michael Jordan. We hope this newly formed team can help support Sportradar’s continued expansion in the U.S. I know the Sportradar team is ahead of the curve in understanding the crucial role data plays in creating innovative content and products that captures audiences. They are well-positioned to capitalize on the rapidly expanding, multi-billion dollar global sports market, and we are excited to be a part of the next stage. 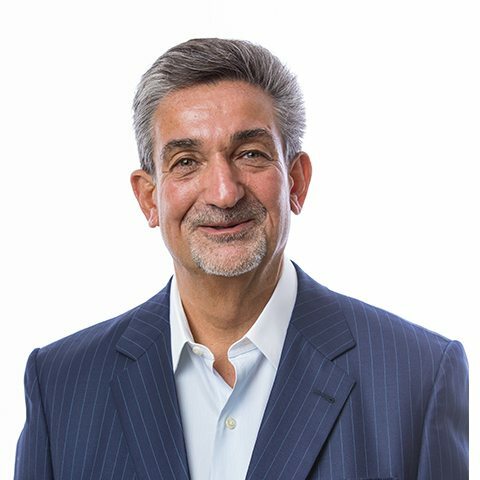 Ted Leonsis is a nationally renowned entrepreneur, investor, and business-builder. He sits on the board of directors of several leading companies ranging from American Express to Groupon.